For those on the anti-Apple side of the eternal iOS-Android debate, the release of a new Samsung Galaxy model is a big deal, and the recent unveiling of the brand-new Samsung Galaxy S10 was no exception. 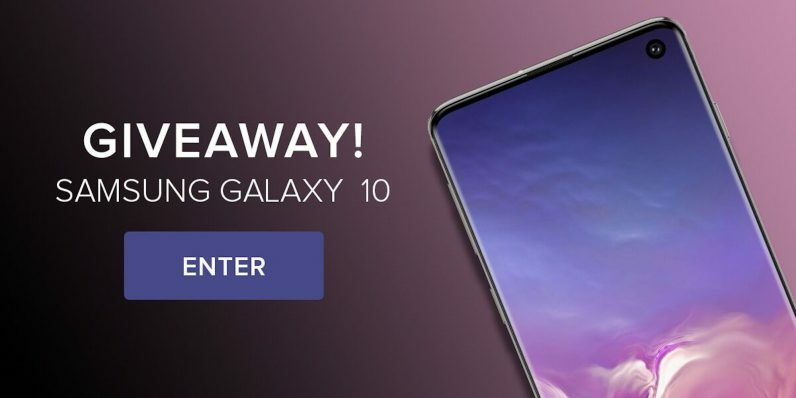 But no matter which side you’re on, there isn’t anyone who isn’t down with tech for free…so get your hands on the hottest phone on the market now for nothing by winning one in the Samsung Galaxy S10 Giveaway. Specs can dazzle and sure, the S10 gives you all kinds of hugely geek-outable features from its crisp 6.4-inch AMOLED screen to its three (count ‘em,THREE) rear cameras and its cool PowerShare ability to charge a Qi-compatible device wirelessly. But of course, the standout features are the S10’s performance (powered by Qualcomm’s Snapdragon 855 processor) and a phenomenal battery life that can get over 20 operating hours off a single charge. All that cutting-edge power usually comes with a $1,000 price tag — but if you head over to the contest page and sign up, you might get one for free. Your name will be automatically entered into the drawing, which might make you the randomly selected winner who’ll land this killer prize. Enter to win right now from TNW Deals. Good luck!